Filter coffee and steamed milk. Equal parts fresh filter coffee and frothy steamed milk, this beverage is well-loved in many parts of the world and goes by many names. 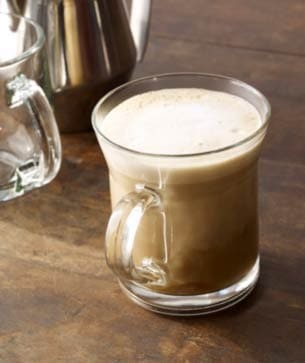 While Italians call it caffè misto, in France, it’s known as café au lait, and in Spain, café con leche. Whatever you call it, it’s a delightfully smooth and milky drink, perfect for sitting, sipping and contemplating the day.